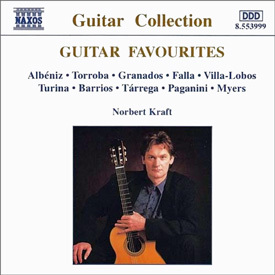 Guitar Favourites is an introduction to the sound of the Spanish Classical guitar. This is an ideal resource for lessons to teach children about the culture and music of Spain. Composers include Isaac Albéniz, Federico Moreno, Torroba, Joaquín Turina and Augustín Barrios Mangoré. Audio CD, Playing Time approx 75 minutes.